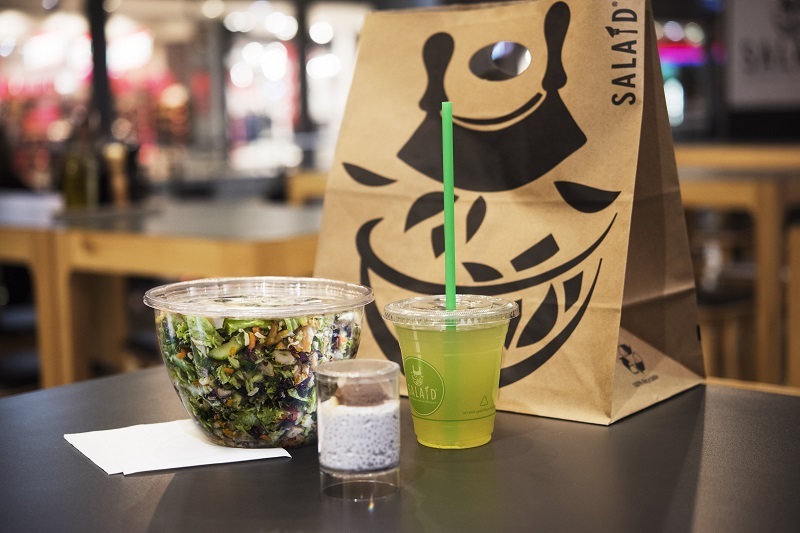 Salaid is looking to enter the market as an alternative for those who are bored of the same old sandwiches and classic fastfood options. We are offering food that tastes fresh and delicious whilst containing loads of healthy ingredients. SALAID appeals to every taste, with stunning vegetarian and vegan options and a huge choice of superfoods. Our shops are bright, clean and welcoming. Customers can build their own flavour adventure from a choice of more than 50 in season fresh toppings. Or they can choose to simply pick from the beautifully crafted Chef’s menu to ensure a balanced taste sensation. Then, we chop! Proper chopping is a skill, and our staff are the best in the business – customers therefore get a perfectly mixed forkful of ingredients every time; no more huge pieces of bland lettuce that you can’t even get in your mouth! Our homemade signature dressing will finish what the chopping started. Your Town or City doesn’t need another fast food store or sandwich shop. There are plenty already, in fact, there are almost certainly too many. At SALAID we believe we are at the cutting edge of a revolution in fast, fresh, food to go dining. We’ll show you that what we offer is here to stay, and the way we offer it, will lead the way! We are constantly innovating and evolving and promise to stay focused on being the top brand in our sector whilst providing the best franchise support in the industry. 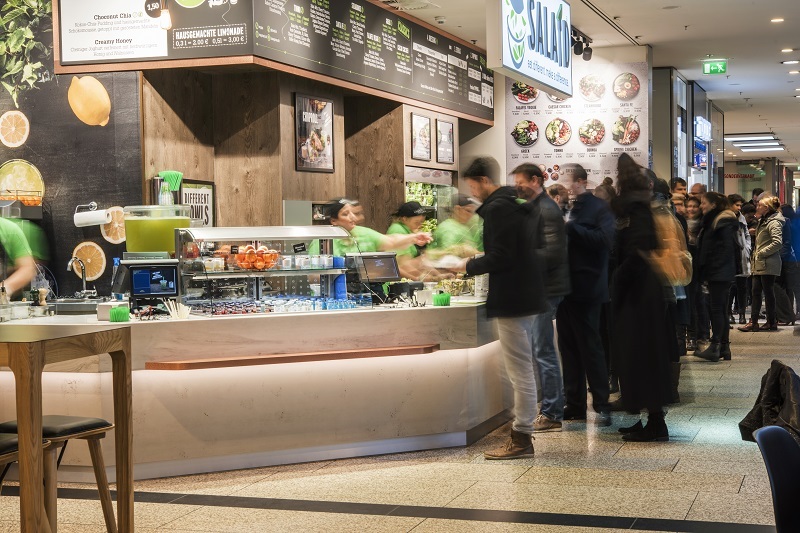 SALAID franchise comes to you with the backing of Hero Brands – the team behind UK and Middle East success story German Doner Kebab (GDK). Hero Brand’s owners, the Sarwar family, operate one of Scotland’s most successful business groups. The £230m empire encompasses a wholesale cash and carry business, 532 franchised convenience stores, a chain of pubs and restaurants. Sound like your kind of business? Salaid is looking to hear from ambitious, existing food retail operators in the UK. We will consider the following partner arrangements - Master Franchises, Country Developers, Area Representatives, Multi-site and in some territories, we may consider a Joint Venture. The level of investment for the store fit out, equipment, stock, small wares and launch marketing package will range from approximately c£205,000 – £250,000 + VAT (Inc. the Initial Franchise Fee) however this will of course vary depending on the size and location of your premises, seating capacity and level of refurbishment required. Each site will be subject to a full survey. We have great relationships with the major franchise banks such as HSBC, Lloyds, RBS & NatWest who will lend between 50-70% of the total investment required (subject to your individual application). If you are interested in finding out more about the Salaid opportunity and would like to download a copy of our prospectus, please fill in the form below.